RODH2 wrote: Well, let's have some positive ideas about what you would Actually DO, regarding recruiting, and where you think the current mob have not succeeded. As was pointed out, you are talking about Jobs, accomodation, partners, salaries, etc. etc. Can't be easy. But, what would you actually do, as far as recruiting goes, that every other club is not doing? I will answer this post later in detail when I get a chance. brodlach wrote: Can you point out where I said the recruiting committee doesn't know anything about players? I can. It's where you said we should completely overhaul the recruiting committee and get some people who actually know about players. It's a point of view, but ultimately it's the coach who decides who gets recruited and who doesn't. "The main point of my post was 'focused on recruiting' not many other parts of the club. Recruiting is a specialist position. That seems to be clearly glossed over." I didn't dismiss it, I didn't refer to it, I simply referred to the part I wanted to take issue with. Recruiting is a specialist position at AFL level but that luxury doesn't exist at SANFL level. Again, I am reliably informed that the club spoke to, hosted, and offered contracts to several well-credentialled potential recruits last year but most didn't come. Is that the recruiting committee's fault? I dont comment much anymore, but the victim mentality that seems to permeate whenver anyone raises something critical or controversial is pathetic. After a season where we won 2 games by under 10 points, it is completely understandable that questions of our recruiting practices are asked. Seriously, if all we get are yes men, then we are doomed. Title of thread, Needs for 2017. I agree, we need to improve recruiting significantly as we are way behind clubs like the Eagles on this front. Not an attack on volunteers, its a fact! Agree with Loppy, it seems when someone criticises the club regarding recruiting etc.. some posters take it as a personal attack on them. As far as i can see, it's not an attack on volunteers, it's questions being raised about our poor recruiting as a whole and some or even most think it's just not good enough. Nobody is denied their opinion on here. Everyone is free to post what they wish and that's always been the case. I would have thought that included those of us who stick up for volunteers as well. I started the original forum many years ago to give us all a platform to talk about our club and have maintained it ever since, with help from some great volunteers, so I'd hope I'm the last person to be accused of stifling discussion. When I was appointed to the Board, I was advised to stop posting here, but wanted to continue engaging with supporters, answering questions and giving news about what was happening around the club. It's obvious now that those who advised me to stop posting were wiser than me, so I'll take their advice now. I'll continue to work hard for our club as a volunteer and I thank all those wonderful posters on here (and the large numbers of those who read but don't post) for their support of our club through difficult (and premiership) times. Believe it or not it is not about you. You don't seem to get that! The above post is just a dummy spit to get attention IMO. Let's have an open discussion about it. 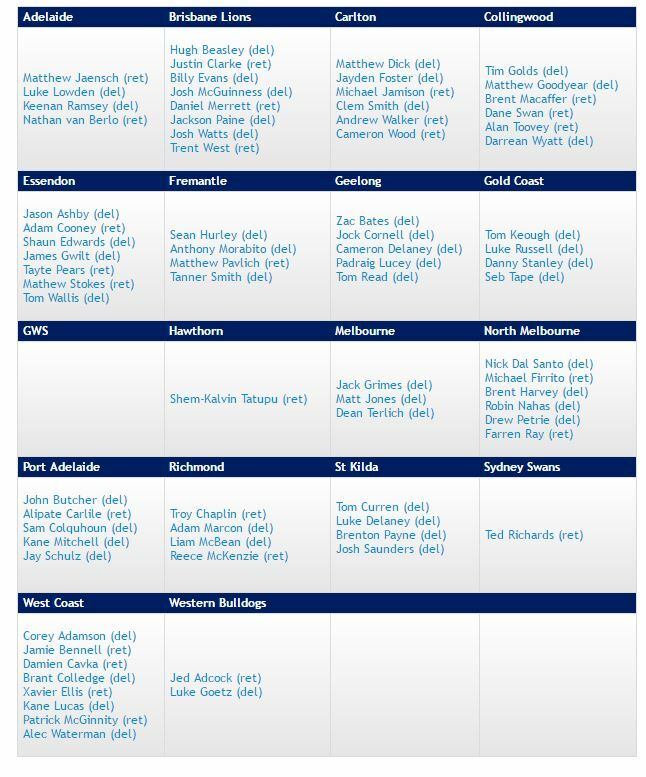 Sorry for steering this back to our needs for 2017 but I was struck by the fact that the 4 remaining teams in the AFL at the moment are the best four teams defensively. Now we don't need reminding that Westies were woeful defensively this year in that we let through 2020pts for the season compared to the best team, the Eagles, 1079. In other words we let through nearly twice as many pts as them. We had 56 more goals kicked against us than the next worst team, Glenelg. Last year at the end of the minor round we had 1342 pts kicked against us. In our last 7 games of this season we had scores of 19,19,19,21,12,27 and 14 kicked against us. On top of this we have lost Adam Hartlett. So it is blindingly obvious that we need to recruit some quality defenders if we hope to be competitive in 2017. Went past the West End chimney this week. It is now covered but you can just glimpse some red and black showing through at the top reminding us that for the next few days we are still the reigning premiers. Whilst you are correct about the defence I think the midfield can take a fair portion of the blame too. The defensive side of some of our midfielders left a lot to be desired. committed to the club for 2017.
forward line more potent that's for sure. 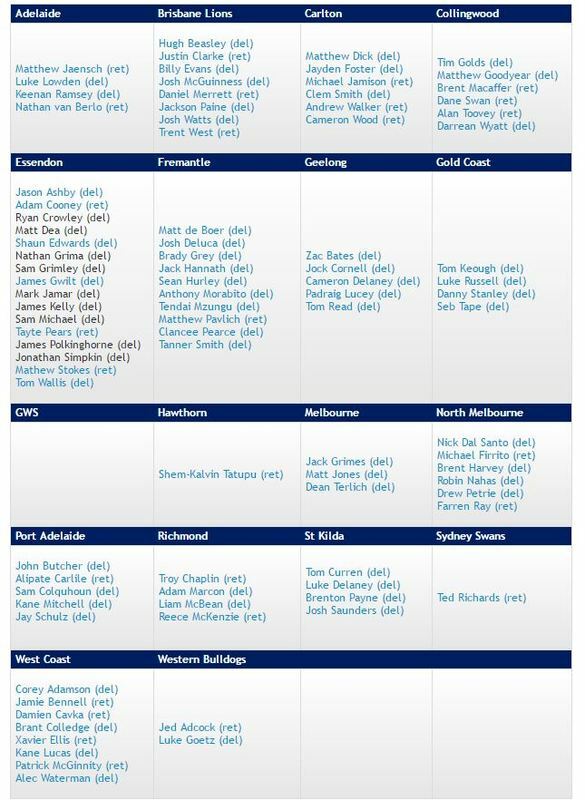 Lacklan, while admitting to teasing you i have always supported you thoughts on the need for a quality ruckman -- i now feel based on observing to afl especially the power rucks that big ruckmen are a outgoing trend being replaced by an oversized ruckrover that can get kicks around the ground. as he can go forward and kick a goal. to be a better player and he could spend more time forward. Mind you we are all aware we need 2 key defenders. Thanks mate and i strongly tend to agree with your thoughts. imo we had enough of the ball in the open to win games but just burnt the ball by foot or hand and this is the key issue to be addressed by the recruiters possibly even more important than where they play? I think combination of coaching , preseason training and recruiting/promoting players with the necessary skills set. Trent Stubbs has signed with a local club, due to work pressures. Joel Tippett delisted. Hopefully him and Keough are on our radar. I believe Tippetts Mrs is an Adelaide girl.